Disneyland park – “Disney’s Celebrate America! A Fourth of July Concert in the Sky” rockets into the air above Sleeping Beauty Castle. 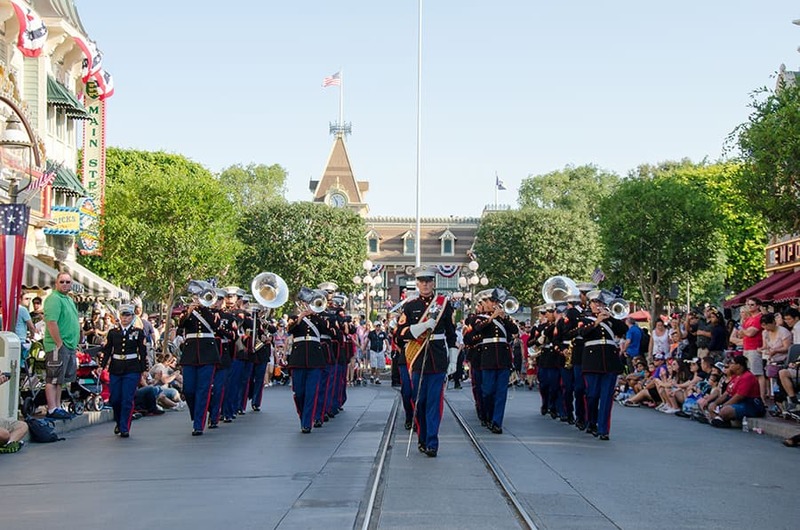 This special, fireworks spectacular will be presented on four different nights, July 1 – 4 at 9:25 p.m.
3rd Marine Aircraft Wing Band – This outstanding military band from Miramar, California, is returning to Disneyland park for another year! The band will be performing several times throughout the day on Friday, July 4. Catch the band in a brief cavalcade along the parade route at 3:30 p.m., just ahead of the “Frozen” pre-parade and the first performance of Mickey’s Soundsational Parade. 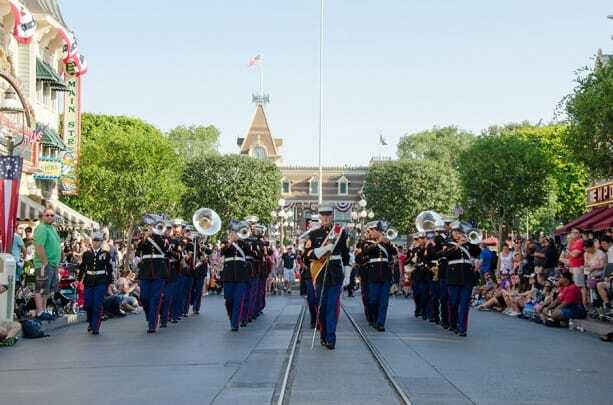 The band will help retire the colors at the Disneyland park flag retreat ceremony in Town Square at 5:30 p.m. Finally, you can enjoy the full band in concert on the stage of the Big Thunder Ranch Jamboree, starting at 7:15 p.m.
“Glow With the Show” – Don’t forget to bring along your “Glow with the Show” Ears (or pick up a pair)! Those interactive, light-up Ear Hats magically become part of the fireworks at Disneyland park and “World of Color” and its patriotic pre-show at Disney California Adventure park. To help you get in the spirit, here’s a look at last year’s production of “Disney’s Celebrate America! A Fourth of July Concert in the Sky.” Who’s ready for some red, white, and blue?! First year we haven’t had passes. Sad to miss it. Sounds like a wonderful celebration! I really enjoyed the pre-show for World of Color last year so I can’t wait to catch it again. Also, thank you for opening up the military passes for the 4th this year as I am excited to celebrate the holiday at the park with my brother-in-law who is in the Navy and with the rest of my family. Happy Birthday Gregory! My niece is July 6th so she tells everyone all the fireworks are for her. I would love to be in DLR for these fireworks! Sounds good! 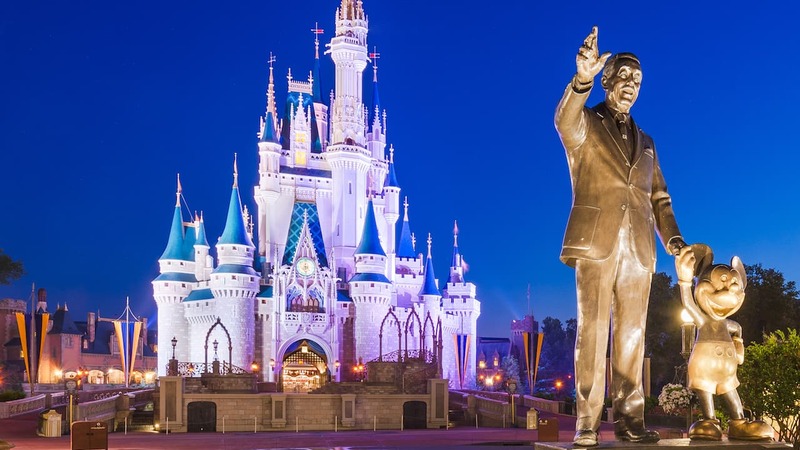 And on top of all that, Alice in Wonderland and Space Mountain will be reopening on July 4! My birthday is on July 4th.